Jason Spangler, the Flooring Product Sales Manager for Wagner Meters, discusses the two main ways to deal with a concrete slab that is too wet to install flooring. Disclaimer: The Swedish Concrete Association method is a guideline only and should not be used as part of any construction document. Actual field concrete installation drying time calculations must be conducted by qualified personnel, based on actual jobsite conditions. Reference to the method here is for information purposes only. 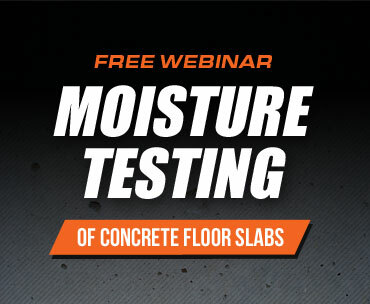 Strong, durable concrete requires careful and accurate slab moisture content (MC) management. Yet, stakeholders too often assume that dry concrete surfaces equal concrete dryness. Beware the MC inside the slab, which may not have yet reached the surface to evaporate according to relative humidity (RH) conditions. Cover the slab prematurely, and concrete MC could result in all sorts of costly and unwanted trouble in the future. As with many things in life, truth lies in the fundamentals. Concrete moisture refers to the composite of three moisture quantities: the total amount of water used to produce a concrete batch, plus curing water, minus the water which is bound in the hydration process. Consider the amount of water content in concrete used in a high-rise, mall or car-park, and you get a sense of how much MC is involved. However, the industry rule-of-thumb applies to every slab: Allow 28 days of drying time for each inch of concrete thickness, once the environment is conducive for drying [i]. Installers are encouraged to install tests earlier and monitor in order to ensure the concrete is actually drying “according to plan”. A concrete moisture meter can indicate Moisture Content levels at the slab surface, but it does not assess the amount of internal water content in concrete because time is not the only factor in the drying equation. Ambient relative humidity exerts the greatest influence on a slab’s moisture content levels. 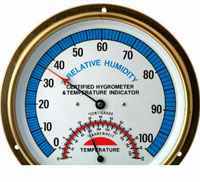 When ambient RH (the water vapor in the surrounding air) rises, the rate of drying slows due to slab moisture retention. When ambient RH decreases, the rate of drying increases as MC evaporates more quickly from the surface of the slab. While historically, surface-based test methods were used to try to assess MC and slab readiness, at the dawn of the 21st Century, industry professionals researched MC assessment in order to improve concrete drying time estimation. It was methodically determined: RH testing was the most precise and thorough means of MC assessment. 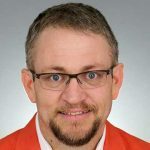 The Swedish Concrete Association has developed a way to estimate minimum concrete slab drying times at the planning stage, rather than fretting over the poured slab itself while project times swell. From this “standard drying time” they have also estimated certain correction factors that can be used for additional variables, such as varying slab thickness, slabs only drying from one side, varying W/C ratios, etc. Although the estimation method above is not scientifically corroborated at this time, results of testing did provide an informative variance of slab drying time estimations – enough to have drawn recognition from the Portland Cement Association (PCA). At the very least, the Swedish way proves to be a cautious advancement in “rule of thumb” calculations. The American Society for Testing and Materials (ASTM) also established the standard ASTM F2170, which recognizes using RH as a methodically-sound way to assess slab moisture conditions. 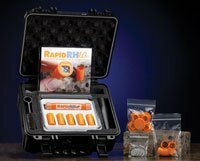 With the Rapid RH®, RH assessors can discern overall slab MC from measuring RH at 40 percent of slab depth. In as little as one hour after installing MC Smart Sensors, the Rapid RH® provides moisture data to within three percent of the final MC result. This class of products is applied topically to the concrete and encapsulates the moisture within the slab so that it lessens the impact that the moisture can have on the adhesive layer or the finished floor product. As with any other products out there, not all of them are created equal. You need to follow strict adherence to the manufacturers guidelines. So when we talk about older slabs I hear people say all the time that they don’t even bother testing because it’s gotta be dry because it’s so old! all I can say is beware. With those older slabs the potential of there not being a vapor retarder underneath the slab or a vapor retarder that’s not intact anymore is usually fairly high. So by doing a concrete moisture test you have the ability to identify those potential issues and you can catch them. Some other ways they’ll do things is they’ll do core testing to verify whether or not there is a physical vapor retarder underneath it. but what i’ll typically tell people is that you either need a vapor retarder underneath the slab during the construction process or a vapor retarder on top of the slab being a moisture mitigation product in order to have a successful flooring installation. This is Jason Spangler signing off. [i] “Drying of Concrete“: Portland Cement Association. [ii] Laticrete: Drying of Concrete TDS 183. How Do I Get Concrete to Dry Faster? How can a 9-month concrete slab still be at 95% RH? As always you are a wealth of information. Thanks for being who you are and representing our industry in the professional way you do. My house was built in 1989. Recently, I was about to have engineered floors installed in my living room and kitchen – literally the day the guys were here to install they did a moisture test on the concrete slab and it came back with 80 in some places and 90 in other. Needless to say, they cancelled the flooring install because the product would fail under such high moisture levels. There is no moisture in the walls and we never had an issue with the existing carpet. Half the house is concrete slab the other portion is a subfloor that is above the basement. We have carpet on the concrete and porcelain tile in the kitchen on the subfloor. Again, never any issues with the carpet lifting on the slab. Should I be concerned? What are my options? I was thinking that we should just go with porcelain tile that looks like wood, but I’m concerned there’s an underlying issue that’s causing the moisture. We have a humidifier in the basement, but it’s so cold right now the humidity levels are very low in the basement and we never had an issue with high humidity upstairs in the living room or kitchen.. Thanks for the questions. My guess would be that with a breathable flooring product like certain carpets, relatively higher moisture levels in the concrete wouldn’t create an issue. Changing to a non-breathable product though creates certain issues that need to be addressed differently. Notice, I didn’t say the flooring can’t be used, it just may not be able to be installed via the simplest and cost-effective way. My guess is you could find a way to use the wood, but it would require a moisture mitigation product to be installed on the concrete prior to the adhesive and wood. You may also be able to find a more robust adhesive. I would consult more with where you purchased the flooring product or with additional installers.